Orlando, FL – Sharon Madison had a plan. She purchased two franchises in Delaware with the goal of having a small business that would employee her neighbors and serve her community. But sometimes even the best of plans don’t work out. First, the State of Delaware wouldn’t license the franchises to operate in their state. Madison went immediately to her franchisor who asked her to relocate to Florida, claiming licensing would be easier and she would have their full support there. But once she was set up and ready to go in the Sunshine State, she began having trouble getting that promised support and assistance from her franchisor. Without extensive business experience and in the absence of support from her franchisor, Madison turned to the Florida SBDC at the University of Central Florida (FSBDC at UCF) and its satellite office in Kissimmee, FL. 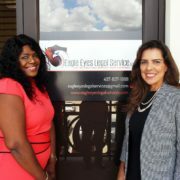 There she began taking business seminars and receiving no-cost, expert consulting from FSBDC consultant Elly Membreno. Together, Madison and Membreno started charting a course for her franchise, including taking a hard look at the agreements and paperwork that Madison had signed when she purchased the franchises. What they found was a nightmare. The franchisor was completely ignoring its contractual obligations, its paperwork was full of misrepresentations and falsehoods and franchises they presented as active were non-existent, with addresses that turned out to be vacant lots or foreclosed homes. Although discouraged and distraught, Madison fought back. She retained an attorney and they were able to recover her initial investment, but not the money she had put into marketing, payroll and starting up the business. She was at a cross roads and did not know where to turn. 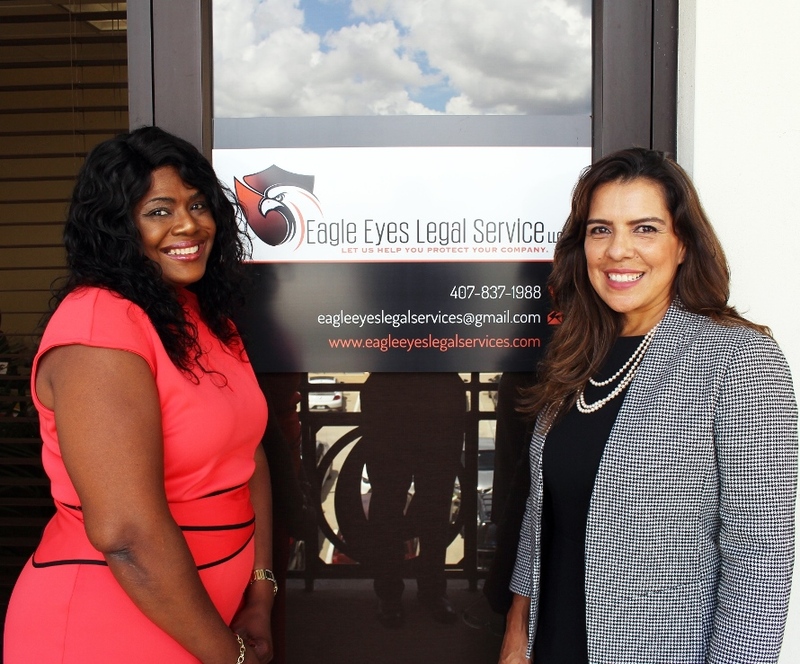 It was at then that Madison’s company, Eagle Eyes Legal Services, LLC, was born. Dedicated to providing clients with professional due diligence review and analysis of business documents and disclosures, Eagle Eyes makes sure there are no surprises for its clients. Madison’s first step was to obtain advanced paralegal degrees. Second, she enlisted the FSBDC to conduct market research to assess the size of the business opportunity. The FSBDC also helped Madison put together a marketing plan and find the resources she needed to build her website. Next, she applied and was accepted into the UCF Business Incubation program. “Working with the FSBDC has been a great experience for me. My dream has come true. I am successful today, and I can thrive and go forward, because they guided and pushed me. If it hadn’t been for them, I’d be nowhere. The FSBDC at UCF is a member of the Florida SBDC Network, a statewide partnership program nationally accredited by the Association of America’s SBDCs and funded in part by the U.S. Small Business Administration, Defense Logistics Agency, State of Florida and other private and public partners, with the University of West Florida serving as the network’s lead host institution. Florida SBDC services are extended to the public on a nondiscriminatory basis. Language assistance services are available for limited English proficient individuals. All opinions, conclusions, and/or recommendations expressed herein are those of the author(s) and do not necessarily reflect the views of the she SBA or other funding partners.